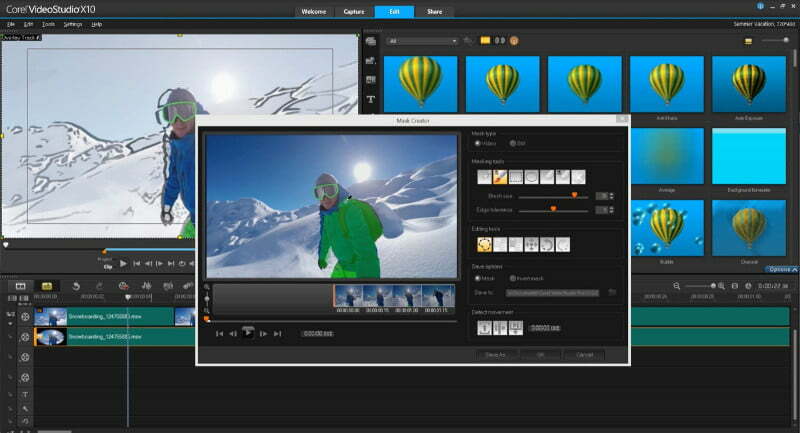 Corel’s advanced video editor is getting even more, well, advanced — VideoStudio Ultimate X10, announced earlier this week, now includes 360 video support as well as masks for objects (even if they are moving), along with several other enhancements. 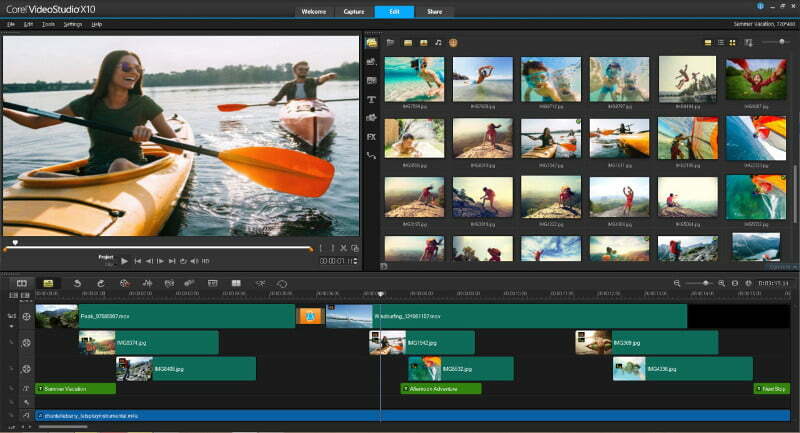 Corel says that the new features build on the program designed to offer creative video edits to all skill levels. The program is the firm’s most advanced editor, and is offered alongside the slightly less featured VideoStudio Pro X10. The X10 version is set to launch next Tuesday from retailers but is already available to download directly from Corel. “VideoStudio stands out in consumer video editing because we’ve created an environment that offers high-end features while remaining surprisingly simple to use. Users choose VideoStudio because it lets them tell their stories in a personalized way, whether they’re capturing family memories, an exciting event, or reaching viewers online. With VideoStudio X10, we’re giving you powerful new options to make a movie that’s truly unique,” said Senior Director of Product Management for Corel’s video products Michel Yavercovski. With the update, the program now accepts video from 360 cameras. Along with working with the 360 footage using the suite of tools, the program also allows users to edit it down to a traditional screen, choosing where the viewer looks and when. Single objects within the footage can now also be selected — even if they are moving. The new mask tool allows editors to use brush and shape tools to select a portion of the shot to then adjust only that object — or, on the flipside, adjust everything else while leaving the mask untouched. While stop motion and other time adjustment features were part of earlier versions, in X10, users now have access to a simpler control scheme for freezing, speeding up, slowing down, or reversing the action. The latest version also builds on the multi-camera editing and other favorite features from previous versions to add custom transparencies for fade effects, three new premium effect collections and an overall update for a simpler, faster workflow. Video templates, for exporting to a disc with a full menu, are now also included with the program. The VideoStudio Ultimate X10 joins a recently updated Video Studio Pro, which, for $10 less, skips out on the masks and special effects templates, and only syncs multi-camera footage from four sources instead of six. The VideoStudio Ultimate X10 retails for $99.99, with a 30-day free trial.